The largest northeastern city of Florida is also home to NAS Jacksonville! The base is located south of downtown and a few miles from the coast. Popular places to live when stationed at NAS Jacksonville are Jacksonville, of course, and also Middleburg, Orange Park, Fleming Island, and Lakeside. 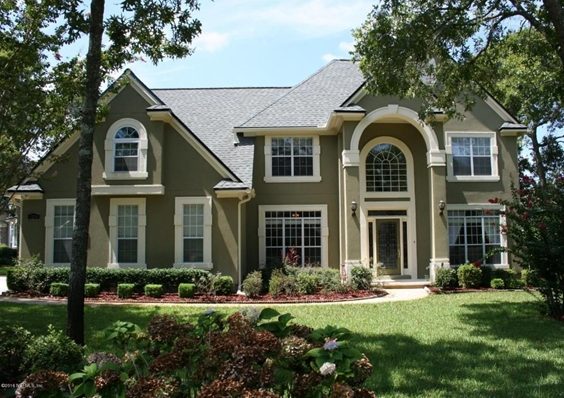 Consider these three beautiful homes if you're due for a PCS move to NAS Jacksonville! Jacksonville, Florida covers 840 square miles of northeast Florida and has a population of nearly one million people. As you can imagine, there are a great many things to do with not only numerous beaches great for fishing, surfing, and swimming, but also a number of outdoor activities and a fun night life to occupy your time! 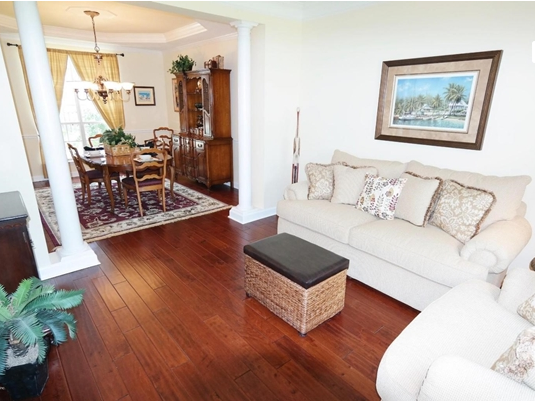 This beautiful 4-bedroom, 3.5-bathroom home is located east of downtown Jacksonville, and is right around 40 minutes to base and a short drive to Atlantic Beach, Neptune Beach, and Jacksonville Beach. The home features a gorgeous kitchen with granite counter tops, a large master suite, and a screened-in pool. If your family appreciates distance from work and prioritizes spending the summer on the beach, this home could be the perfect fit. Orange Park is suburb of Jacksonville located just south of the Naval Air Station. The town consists of around 8,500 people and serves as a slightly less populated area to live without losing quick access to Jacksonville’s fun. This 4-bedroom, 3-bathroom home resides in a private, gated community with access to a golf course just 10 minutes from base. 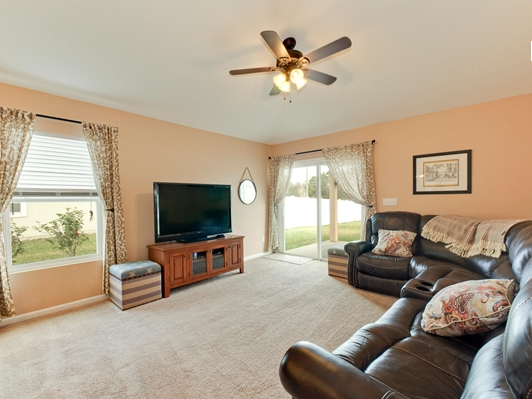 Featuring stainless steel appliances, the home is carpeted and tile flooring throughout. 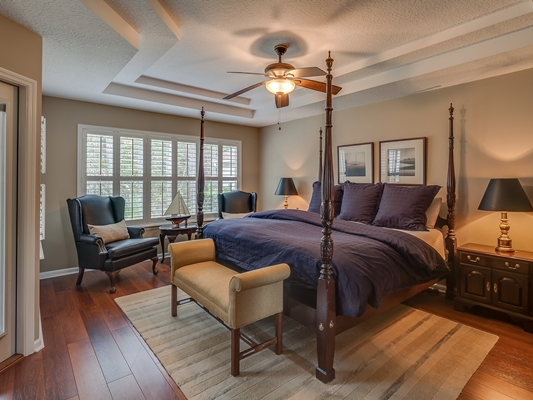 The master suite is absolutely gorgeous with direct access to the backyard. 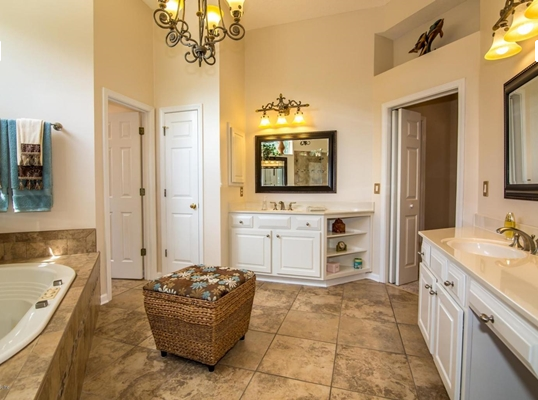 The suite features his and her closets, dual sinks, garden tub, and a walk-in shower. What’s more, you have no neighbors backed up to you! Instead, the lot is backed up to a tree line so you have moderate privacy in your yard and in your home. This home is a great option for families interested in living close to base while enjoying the feel of a private community! Middleburg is located approximately 25 miles southeast of Jacksonville, about 40 minutes from NAS Jacksonville. Due to its distance from the city, Middleburg is a quieter community. What Middleburg may not have in size, it makes up in charm. Middleburg has several mom and pop restaurants that make living there different from anywhere else! 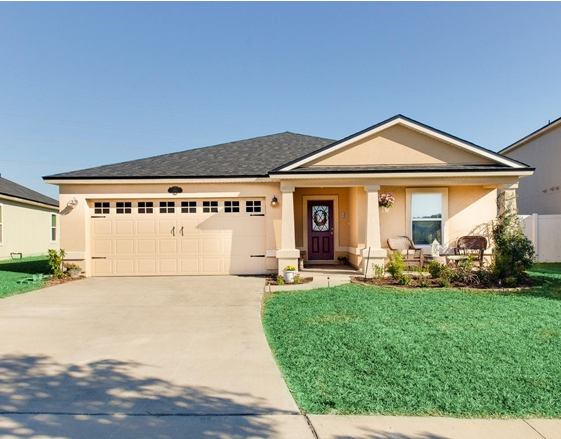 With a 30-minute commute to base, this cute 4-bedroom, 2-bathroom home makes it easy for you to separate home from work. 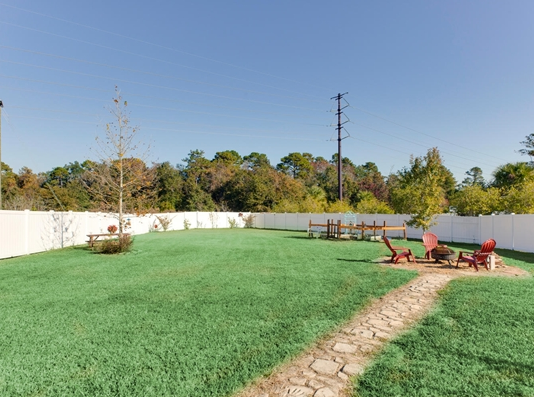 It is a great home for a family with children and/or pets with its large fenced-in backyard. This property features both informal and formal living spaces, a large, open kitchen with stainless steel appliances, a 2-car garage and a small fishing pond behind the property. 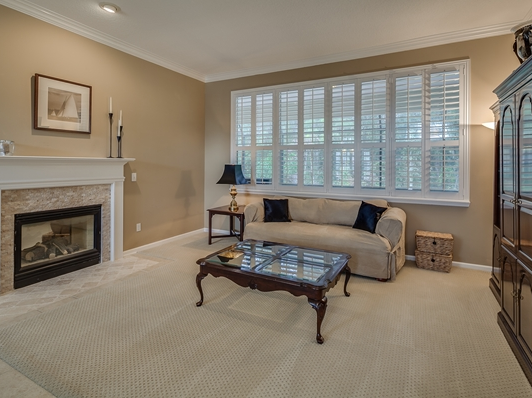 Your family may fall in love with this home if you enjoy a quieter lifestyle outside the city. 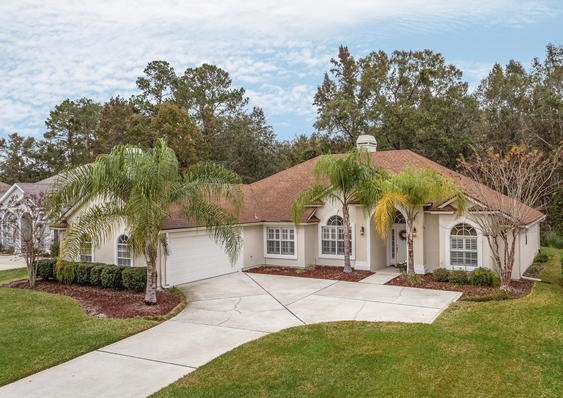 While these home near NAS Jacksonville are no longer available, check out other MilitaryByOwner homes available for sale or rent near NAS Jacksonville. Click below for more information on the updated MilitaryByOwner iPhone app, which makes it easier than ever to search for homes!